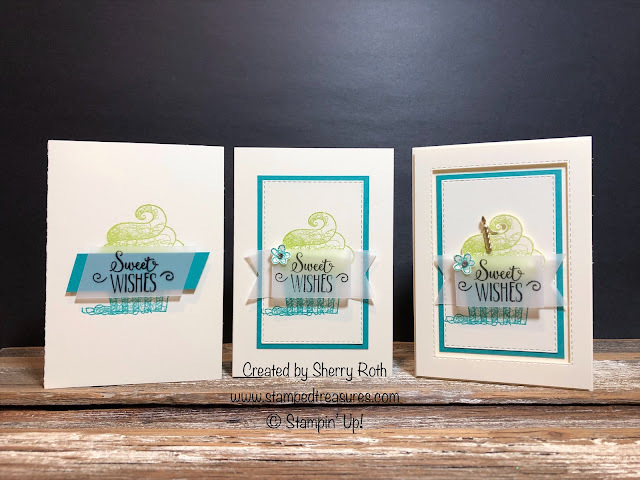 On Today's Facebook live I shared the same card in three ways. They all turned out beautifully and any one would bring a smile to someone's face! We started off simple. 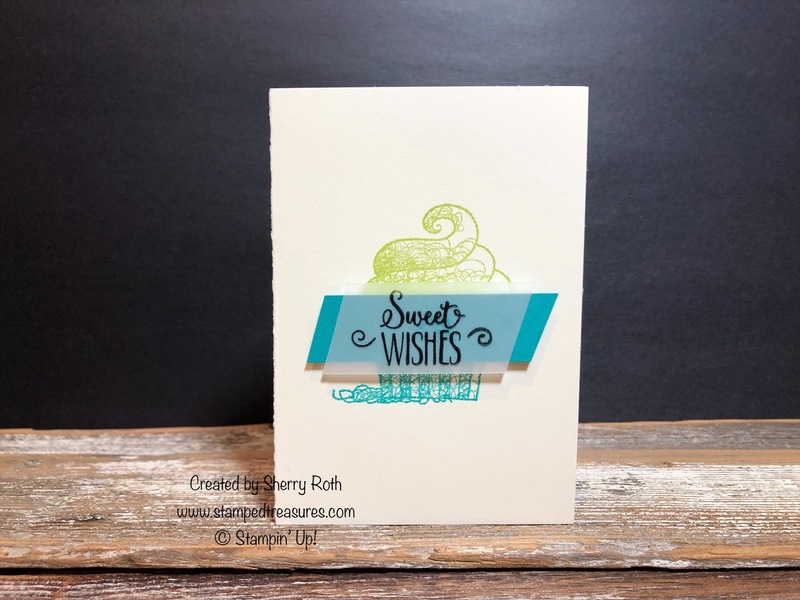 When I think simple - the notecards and envelopes immediately come to mind! 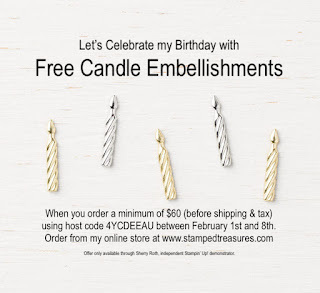 These samples use the vanilla notecards and envelopes. Simple cards tend to lean more towards stamps, ink and paper, not much else. Then we stepped it up by adding in the stitched rectangle framelits - love these! some rhinestones and a bit of layering. 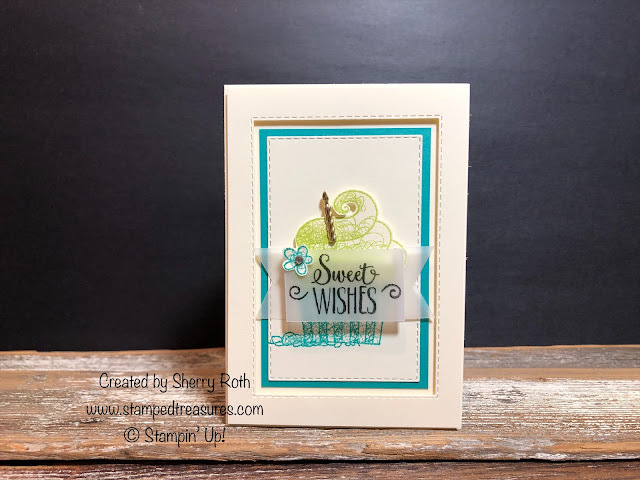 For the last version of this card, we added a few more layers and the candle embellishments. How cute are these cards?! If you'd like to see them come together, in a different color combination, here's the replay. 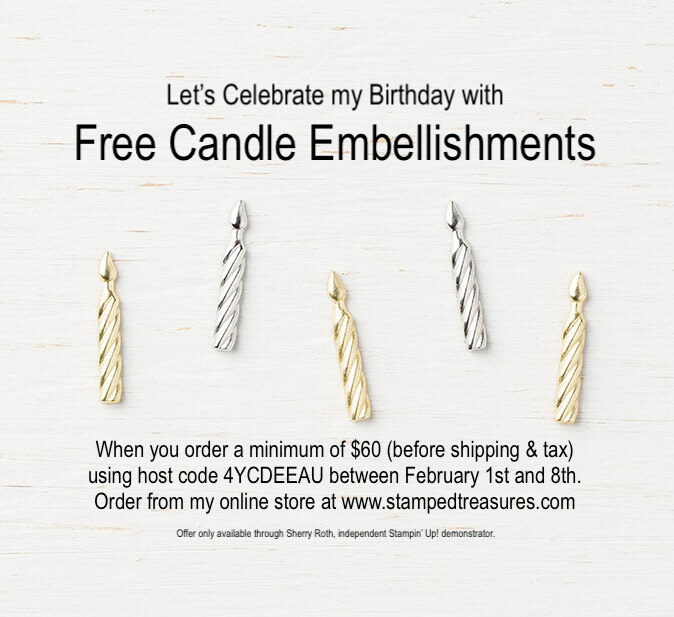 And because I'll be celebrating my birthday next week, I have a gift for anyone who places an order from my online store between Feb. 1st and 8th!